My husband is a cheese ball fanatic. He could pound an entire cheese ball all by himself. Crazy right? When planning out out New Years menu, I knew we needed a delicious cheese ball to make an appearance. During the Christmas holiday, my amazing mother brought up the idea of a Jalapeño Popper Cheese Ball. I literally jumped with excitement at the idea. One of my favorite appetizers taking on a new form and shape was sheer brilliance. Thus, this beautiful cheese ball was born. 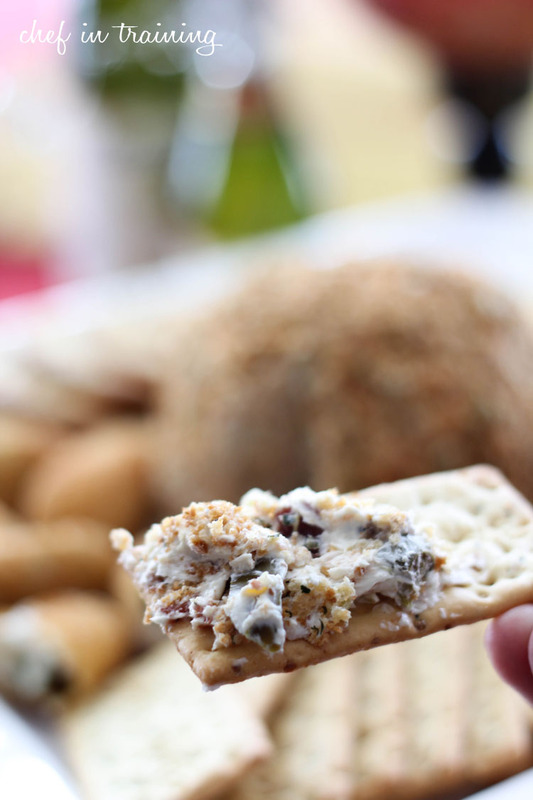 It has the flavors you love from a jalapeño popper, made into a delicious spread for crackers. It combines the perfect hint of heat and cool. Your crowd will LOVE this recipe! Definitely put this on your New Years menu, you will be so happy you did! One of your favorite appetizers takes on a new form. 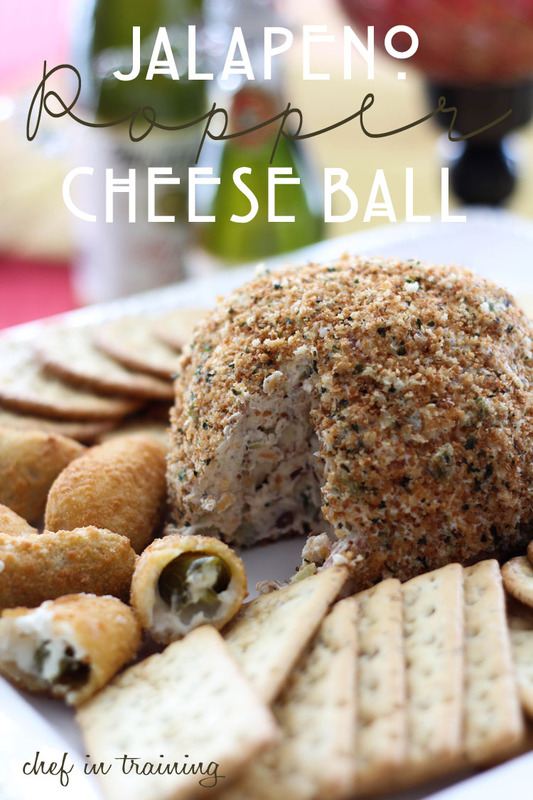 This cheese ball is an absolute crowd pleaser! In a large bowl, combine cream cheese, diced jalapeños, diced green chilies, garlic salt, bacon, Parmesan cheese and cheddar cheese. Form into a ball shape and chill for about 15 minutes in the fridge. While cheese ball is chilling, melt butter in a saucepan. Once butter is melted add panko bread crumbs and parsley flakes. Toast, stirring constantly, until golden in color. Take off heat and let cool completely. Once bread crumbs have cooled and cheese ball has chilled, roll and cover the entire outside of cheese ball with toasted panko crumbs. Cover and keep chilled in fridge until ready to serve. Refrigerate any leftovers. Serve with crackers. I can see this being the hit of any party and the first thing to disappear! My husband would go crazy for this! Great New Year's Eve app!! This looks delicious, going to have to make it for NYE.. Thanks for the recipe! I think I would use fresh jalepeno in place of canned! Oh goodness. We love Jalepeno Poppers and I know we will love this, too! Thanks, Nikki! Oh yeah, I'm so trying this! I made this for my son's birthday party tonight. Everybody loved it! It will definitely be a regular on my party food list. Sounds yummy! Your husband would get along with us because we all adore cheeseball! Each person gets their own cheeseball for Christmas! Thanks for the recipe! Sounds amazing! I can't wait to have an excuse to try this. I think I will use fresh peppers and roast them in the oven first. Can you use the Hormel Bacon Pieces? About howmany slices of bacon is 1/3 of a cup? Any recommendations on a sub for the panko bread crumbs? I can't get those where I live. How well does it keep in the fridge? I will need to make it a day ahead, will the panko crumbs get soggy? You can make the cheese ball ahead (it is really better, because the flavors are more intense! ), but I would wait to roll it I the pano until you are ready to eat. I'm gluten free... So when I make my cheese balls I use ground black pepper or ground pecans.... I'm thinking the office staff would love this version! Made this today, for Father's Day, and it got RAVE reviews!!! Even from some picky eaters! My husband, a connesieur of jalapeño poppers was elated when I told him what it was, and almost wouldn't share with others once he had a few scoops! Thanks for a new "family favorite!" I made this for a office party. Huge hit! By far my favorite cheese ball!! !